Again, we observe Memorial Day and take time to thank those who have served our country by giving the ultimate for our freedoms. One of my practices is to go back and read previous Posts I have written on Memorial Day Weekend. The messages are generally the same and are reminders of sacrifices made by many. If you have family or friends who served and died in battle, there is not much you can do but observe and honor their willingness to serve. There is one more thing we can all do…respect and appreciate the freedoms that have been paid for in full. This Memorial Day Weekend, again as is my custom, I pay my respects and salute those close friends of mine who died while serving our country. My high school friends included Danny Watkins from Meadowview, Virginia; Michael Charles and Kenneth Delaney from Bristol, Virginia; and Frank Campbell from Chilhowie, Virginia. There were several others who also died while in service. I have added Curtis “Duck” Montgomery, a World War II veteran and my long time friend who passed away last year at 101 years of age. And, this is a special time to remember my cousin “Marty” Clark who passed away on Memorial Day in 2016. All of these were great folks who deserve to be remembered each and every Memorial Day. Time is getting very short. 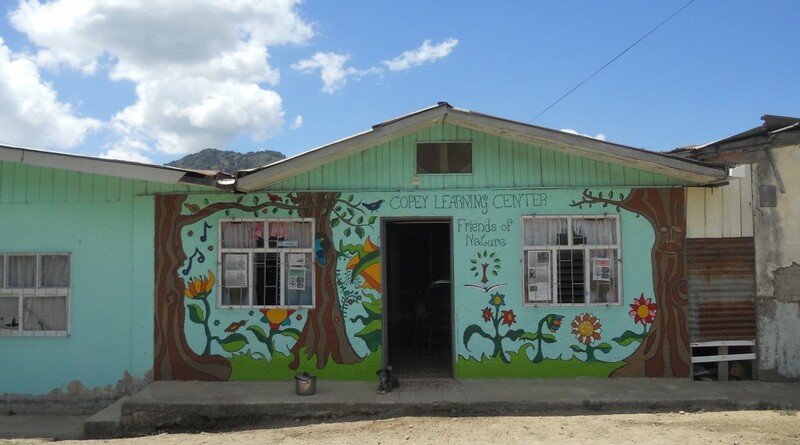 In two weeks our Copey Learning Center guests will be heading to the United States. We are nearly 95% complete with the planning for the trip and from all indications, things will be just as exciting and productive as the previous two years. We are very eager to see Maria Lourdes (Left) and Brian (right) arrive in America and experience our culture for the first time. And, eager to have them share their culture with us. However, we do still have fundraising challenges yet to contend with. The official end date for the fundraising campaign is today but I have unofficially extended the campaign another week to provide “anyone and everyone” the opportunity to support this project with large or small donations. Based on my best count at this time, we are just under 66% of our goal. And, this includes both the funds I have received and the funds I have not received yet but have firm commitments. It would be great to hit our target of $6,500.00 and be assured we can financially support all the plans we have for our guests during their visit. However, if funds are short, some plans may be curtailed or even eliminated. I have not eliminated plans in the past, but I am prepared to apply any adjustments needed to make this project as financially successful as possible. If you intend or feel inclined to support this project financially, please send me a short note to confirm the amount and expected date the funds will be mailed. This will allow me to avoid making unnecessary changes. And, please do not make the check to “Friends of Copey” or to me personally. All funds will go into the TCI Kiwanis Foundation account to pay the expenses. The account will be managed by the Foundation’s Treasurer, Ms. Julie Meek, CPA. The Foundation has 501c3 status. Finally, make plans for the big “reception” scheduled for June 15th in Abingdon, Virginia. You can let me know if you plan to join us and I will arrange for you to be placed on the list of invitees. There is still room. The guests and I certainly would enjoy having a large group of “Friends” attending to meet and greet our guests and experience first-hand their appreciation for our support. Want to just say “Hey Mom…always thinking about you”. Several of my “Friends” miss their mother on Mother’s Day and I share both their grief and joy. Those of us who had those special moms were so beautifully blessed. Big news in Copey today! Our two Emory & Henry College students arrived in Costa Rica and they were immediately captured by their new boss. Ana Yancy, who is getting to know I have a bit of a worrisome nature about me, sent me a photo confirming all was well. It is hard for me to remember what that initial shock was when I saw the San Jose Airport, customs, finally getting past security, and then out in the open to hear and see the sights and sounds of Costa Rica for the first time. This is Kara’s first airplane ride and what a way to kick off your first experience. I am sure for these two students, arriving in Costa Rica, the San Jose airport, and the drive to Copey is an experience to remember. AND…as you well may know, it just gets better! Kara and Matthew will have a four to five week volunteer period at the Learning Center. During their stay, we will try to keep in touch with both and learn about some of the things they are learning. When their term ends in June, our Pathway Project Learning Center students will depart with them and return to the United States. The current fundraising results after the first week is tracking much as expected. I immediately heard from several past donors last week and was assured their checks would soon be in the mail…and it will be here soon. What is reported is what is in hand. Many of you are very familiar with the “Pathway Project” and aware of the many ways it provides fantastic benefits to so many. If so inclined and feel so moved, please help us keep on pace to raise the needed funds to make this a three-time success. Also, keep in mind the grand reception planned for “Friends” and the Learning Center guests on June 15. Mother love is the fuel that enables a normal human being to do the impossible. by Marion C. Garretty. I am taking the very seldom used liberty to bypass issuing a detailed Post this week. I have been away and have several very pressing non-Friends of Copey issues to deal with this week. Starting next week, there will the kick off of the fundraising campaign for the “Pathway Project for 2018”. I spoke of the “Pathway Project” in recent Posts and have also shared the March edition of Emory & Henry College Alumni Magazine featuring our ongoing success. Small excerpt provided. Therefore, looking ahead to next week, I will officially ask “Friends” to help make our third consecutive year of the Pathway Project” another year of success.